Valentine’s Day isn’t here as yet and already I’m seeing double!! 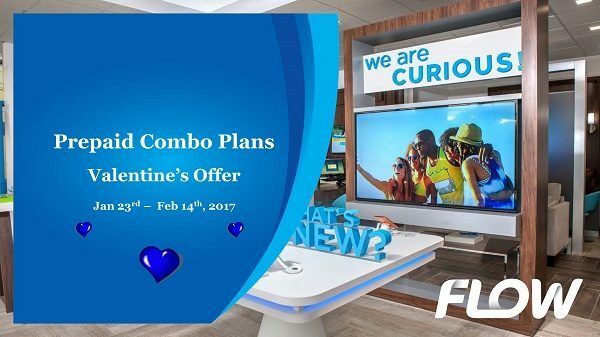 FLOW Jamaica, eager to make much of their hugely successful FLOW Christmas promotion as detailed in Flow Jamaica Christmas 2016 Promotion, is now going after St. Valentine’s Day. If an existing customer subscribes to a 7-Day Combo Plan (500MBs of Data+ 150 Minutes + 150 SMSs) they will get a 7-Day Combo Bonus Reward (500MBs of Data + 150-On-net Local Minutes + 150 On-net Local SMSs) on their account instantaneously. News customer will have to wait an extra day, but for double Minutes, Data and SMS, I as a Jamaican would not mind. All these Combo plans have Auto Renewal and to cancel the auto renewal feature on a plan, customers have to dial *363*1#. Effectively this means reduced rates on calling and Data and SMS, which has seen something of a renaissance of late in the small islands. So FLOW Jamaica, what about us Jamaicans?! When will we get some of the combo love!!? Sharing is caring so share this article with your friends this Valentine’s Day, encouraging them to switch to FLOW Jamaica!